VARIOUS LOCATIONS. 2009 - PRESENT. 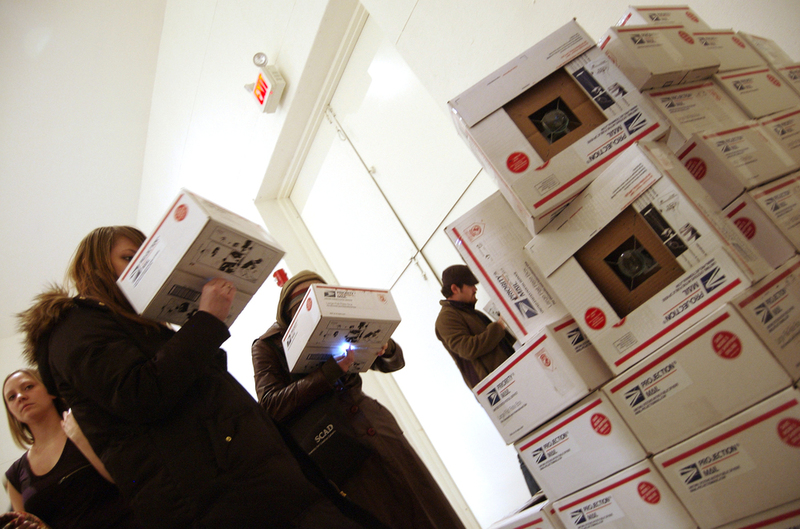 projectionMAIL uses a [$3] projection system, built upon the scaffolding provided by USPS flat rate mailing boxes, to challenge and expand the space of a traditional gallery. 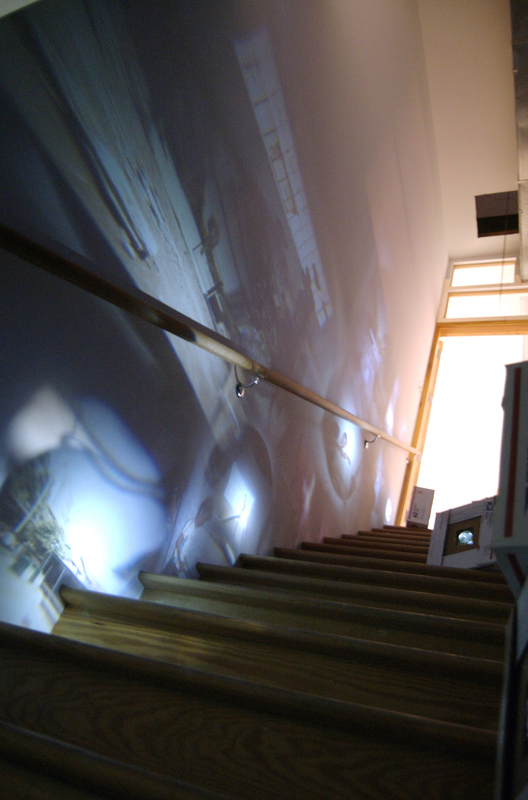 The size and weight of these projectors, as well as the nature of the projected image, allows patrons to cultivate new overlaps between these perspectives and their own, convergences which both reflect and re-articulate the relationship between the work, those viewing it, and invariably, those responsible for re-creating it. 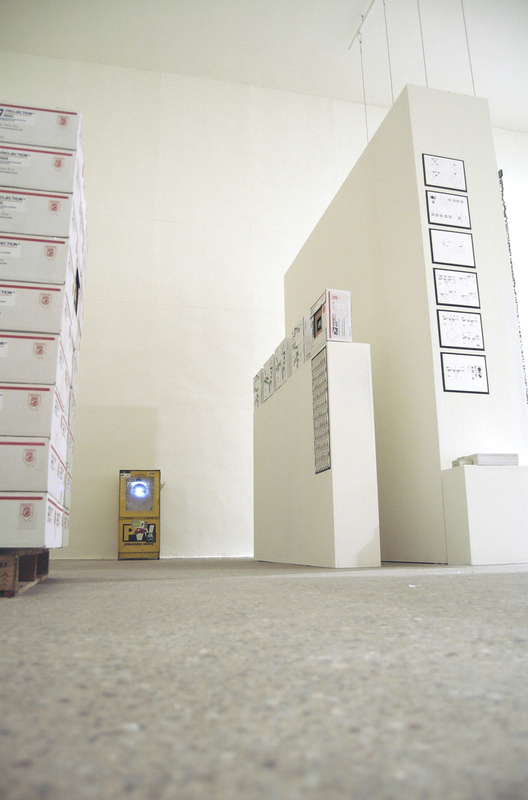 So that this movement might expand to include publics, spaces and time periods not offered by any singe exhibition, patrons to both the physical space of gallery and a parallel online event are invited to propose alternative venues for the work by "stealing" one or more of the boxes and taking it to what they believe to be a more suitable location. [re]present their movements, insights and photos to a growing body of online contributors. projectionMAIL, like the work in India that upon what it is based, offers not a project, but an infrastructure through which others might stimulate a new set of negotiations between the structure offered by our work in India and those inherent within new sites, programs and publics. CITATIONS include: American Craft Council (April 8, 2010), Printeresting (March 14, 2010) and theartblog (2010). PARTNERSHIPS: The International Design Clinic, Temple University, and the AIA Center for Architecture of Philadelphia.